An ideal destination for a vacation this summer is Malaysia’s largest highland resort- Cameron Highlands. 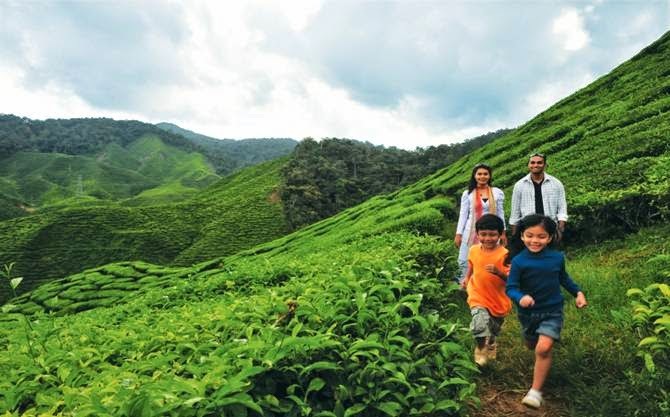 A collection of peaceful townships perched 1500 meters high on a nest of serene mountains, Cameron highlands is home to cooling resorts, tea plantations and strawberry farms sprawl lazily across lush valleys and meandering hill slopes, the perfect setting for a relaxing holiday. Cameron Highlands was discovered in 1885 by English surveyor William Cameron, who was under a commission by the colonial government. The place lay unruffled for 40 years, until British Administrator Sir George Maxwell took charge of its development as a hill station. Soon, hotels, schools, homes and even a golf course sprouted overnight, as British and locals settled in. Farmers and tea planters also streamed steadily into the valley, developing tea and strawberry plantations. Today, Cameron Highlands is the leading highland resort destination in the country attracting both local and international tourists. Some of the tourist attractions at Cameron Highlands include the Bharat Tea Plantations, Strawberry Farm, Time Tunnel Museum, extensive network of townships and many more. Cameron Highlands is the largest tea growing region in Malaysia, attracting an increasing number of tourists every year. Located around 4 km south of the township of Tanah Rata, the views over the Cameron Bharat Tea plantation are breathtaking. There are no guided tours, but one can wander around parts of the plantation, sipping on a hot cup of tea at the tea house, attractively set overlooking the estate. Along with tea plantations, the highland is the center of strawberry production in Malaysia as well. 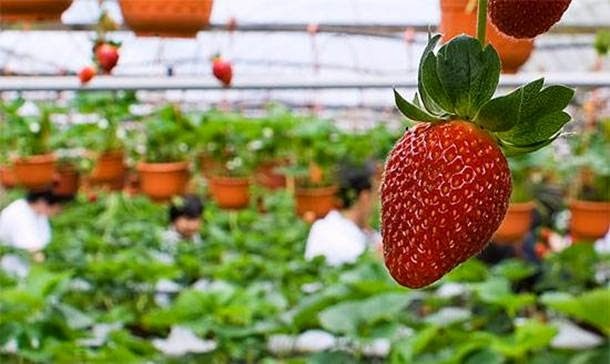 The cold climate makes it suitable for cultivating strawberries all year round throughout the highlands, with most farms concentrated at Tanah Rata, Brinchang and Kea Farm. When in season, many of these farms offer strawberry picking by hand, attracting visitors. The popularity of this exquisite fruit has also spun a bustling cottage industry that churns out souvenirs, pillows, clothing, toys and other merchandise in the shape and theme of strawberries. In addition to the greenery, Cameron also has a time tunnel museum to offer. Opened and managed by a local, this local museum is dedicated to preserving the historical memory and cultural heritage of Cameron Highlands. Tourists can also enjoy the varieties of teas, other drinks and dishes at some of the local cafes which offer a very cozy and comfortable ambience to visitors to the highlands. “Cameron Highlands is a beautiful region, with a mix of nature, history and contemporary infrastructure in the form of various townships. It’s a perfect example of the diversity of Malaysia where you have high rise buildings on one end and lush green mesmerizing terrains on the other end,” says Mr. Manoharan Periasamy, Director, Tourism Malaysia, India. How about this one? Do you travel to all these places? Talking about Malaysia, this is one that just slipped by... oh so close! Another one on the list.